Two churches in Philadelphia and Bucks County that were previously merged with neighboring parishes but designated as worship sites will officially close Nov. 1, it was announced in the parishes at Masses over the Oct. 17-18 weekend. St. Mary of the Assumption Parish, in the Manayunk section of Philadelphia, merged with St. John the Baptist Parish in July 2012 at St. John. 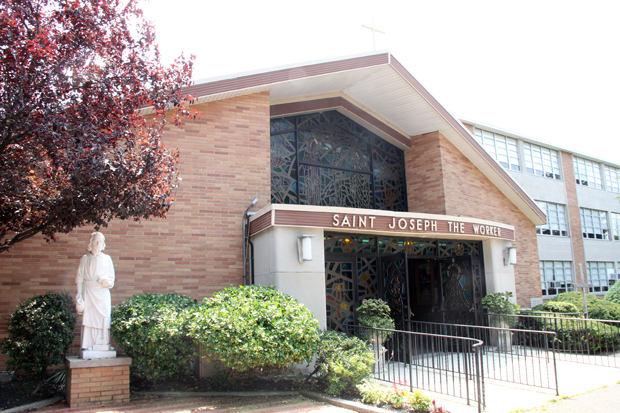 St. Joseph the Worker Parish in Fallsington, Bucks County, merged with St. Frances Cabrini Parish in Fairless Hills at St. Frances in July 2014. The formal canonical designations mean St. Mary of the Assumption and St. Joseph the Worker will close entirely and no longer be available to serve as worship sites. According to the news releases in both instances, the request that they be closed originated with the pastors in consultation with their parish and financial councils, then reviewed by the Archdiocesan Council of Priests and presented to Archbishop Charles Chaput, who after careful review of all supporting factors made the final decision. While neither St. Mary of the Assumption nor St. Joseph the Worker were located in areas of poverty, both operated at a deficit for uniquely different reasons. St. Mary of the Assumption was founded in 1849 as a specifically German personal parish, while St. John the Baptist, founded in 1831, was the English-speaking territorial parish in Manayunk, and for all practical purposes Irish. Today there is not a single parish in the entire Philadelphia Archdiocese where, because of assimilation, a German Mass is celebrated. In recent years Manayunk has experienced dramatic gentrification with the newcomers not necessarily practicing Catholics. 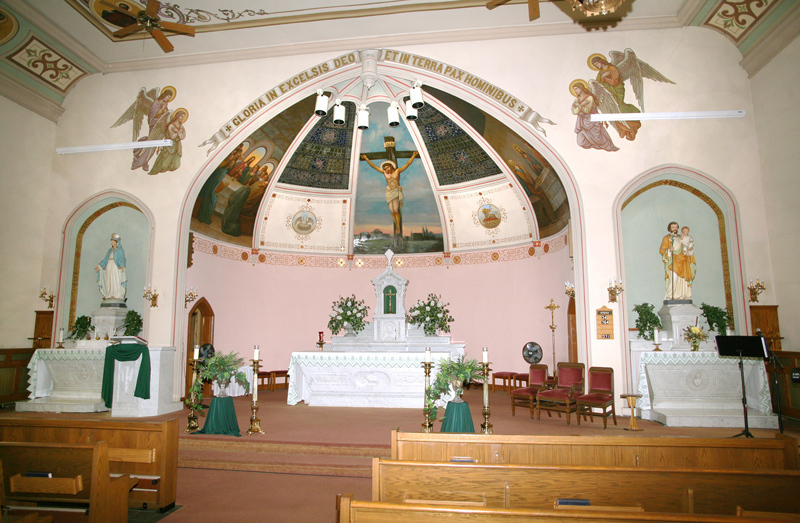 According to annual October Counts in parish churches of the archdiocese, 20 years ago, in 1995, the combined count for weekend Mass attendance at Mary of the Assumption and St. John the Baptist (along with St. Josaphat, a Polish personal parish that also merged into St. John’s), was 3,157. The most recent account available in 2014 showed 668. In 2012, according to the archdiocesan release, the combined debt for St. John the Baptist was $1,066,749 and has been rising. Should the St. Mary property be sold the proceeds would go to St. John and presumably applied to the debt. The situation at St. Frances Cabrini and St. Joseph the Worker is somewhat different, but again driven by population shifts. St. Frances was founded in 1953 and St. Joseph in 1956, both in response to the rapid industrialization of their part of lower Bucks County, in particular the sprawling U.S. Steel’s Fairless Hills Works. It opened 1952, and at its peak employed more than 10,000 workers, many of them Catholic. Just 39 years later it was all gone, and with it a number of the workers from the area parishes not entirely replaced by the more often white-collar new arrivals. In 1995 St. Frances and St. Joseph had a combined October Count of 2,792; the most recent count is about 1,050, according to Msgr. Michael McCormac, the pastor of St. Frances. There was some sadness of course, when the final decree came down, but for the most part the St. Joseph people have really moved on. It is helpful now that some of the stained glass and statuary — especially a beautiful Pieta — are being brought over to St. Frances, especially to the former St. Frances convent. That is being converted into a family center with daily chapel and will include space for a children’s Sunday Liturgy of the Word. At the time of the merger, St. Frances did inherit a St. Joseph debt, which now stands at about $650,000, but finances are picking up, as the parish concludes a well-received increased offering program. “Everything is going well, I’m pleased,” Msgr. McCormac said. St. Mary of the Assumption Church in Philadelphia’s Manayunk section will close Nov. 1. This is a shame. But it’s not the Archdiocese’s fault. It is our fault as lay Catholics. We have not passed on the faith to our children and and hence only 20% of Catholics go to Mass. How can we keep all our beautiful Churches if they are only operating at 20%. With ISIS on the march and with secularists trying to eliminate orthodox Christianity, we need to become re-evangelized and re-catechised now! Bring materials to your parishes and homes: Lighthouse Catholic Media CDs, videos from FORMED.org, products and radio shows from Catholic Answers (catholic.com), products from Dynamic Catholic, books and materials from the Ignatius Press, etc. We need bring people back into the pews before it’s too late for our nation and world.